Oh my goodness, this game could well be epic! So, we’ve all seen the trailer and stuff since last week, and the excitement has just been building ever since. 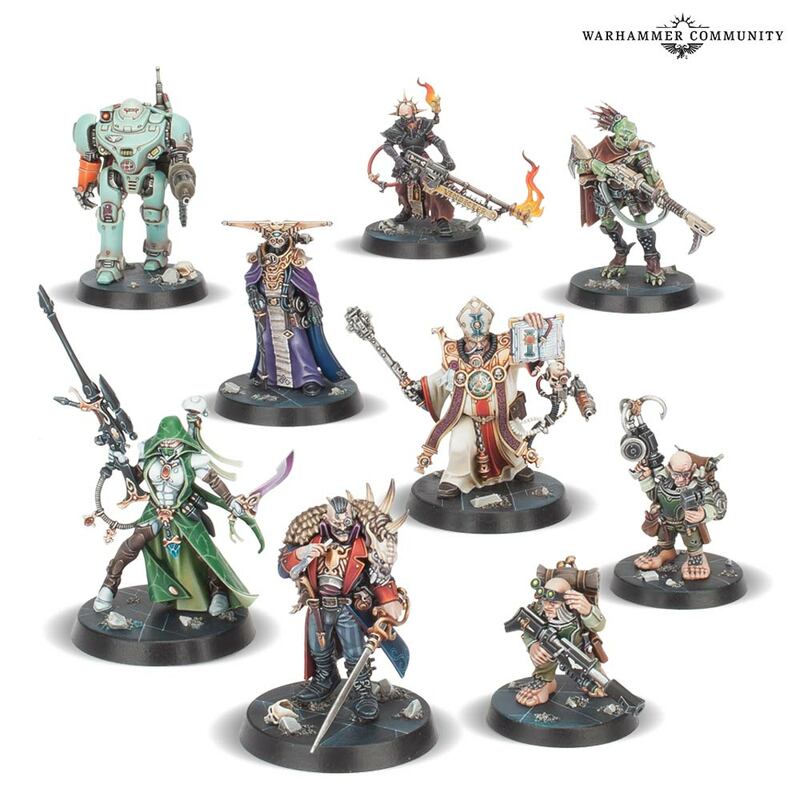 While I was, at first, reasonably sure I’d be picking this up – hoping that it would feature more Rogue Trader models that could potentially fit in alongside the Kill Team expansion to create a more interesting warband – I’m now entirely certain, and in fact I need it in my life yesterday. The heroes of the game I can almost take or leave. True, space pope does look hilarious, and I’m really excited for the Navigator dude, but the others are all a little bit too much of a mixed bag for me to be that interested in them. I suppose if they hadn’t gone so wide with it, and had kept it more like the Rogue Trader stuff, so players had the choice of taking on roles from among his crew, then it might have felt a bit more like a crew on an adventure into the fortress in search of riches. As it stands, it feels a little too much of an eclectic group for me to feel all that involved with them. 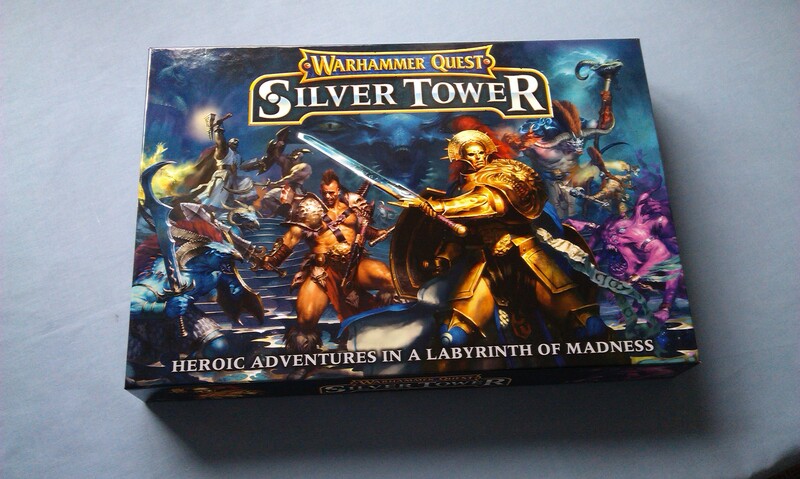 I do hope, though, that they follow a similar trajectory for Silver Tower, and bring out card packs for a number of different such heroes, so we can hopefully create a different lineup. Though I’m not 100% sure that could work, as the pre-existing heroes of the 40k range are all rather too combat orientated. This game feels like it needs a more mundane set of characters, though I suppose Elucia Vhane’s crew could potentially be seen in this setting… Oh, who knows?! The adversaries are, for me, where this game is shining brightest. 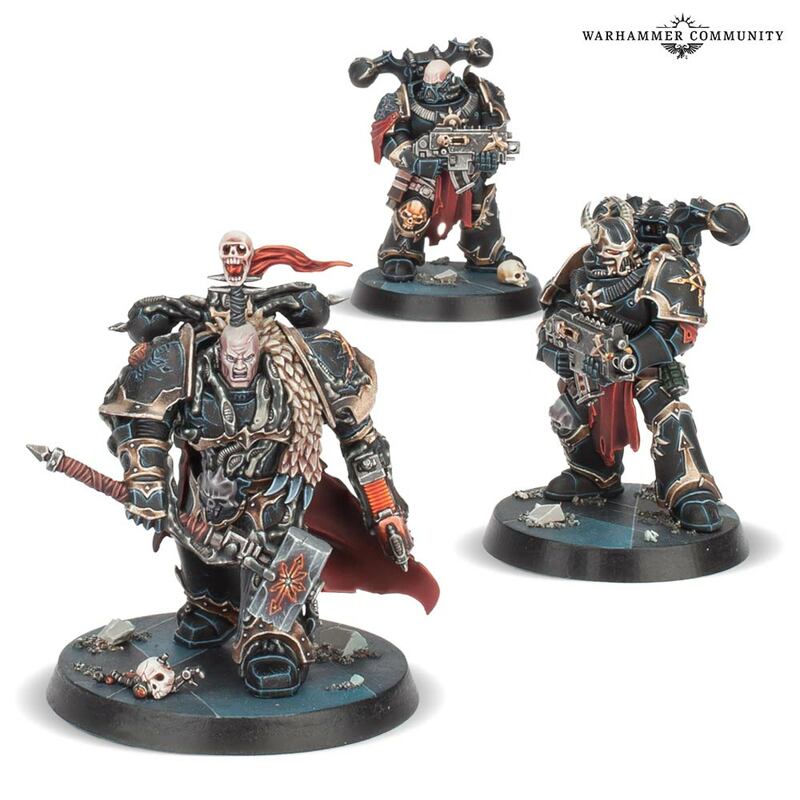 With these guys, it doesn’t matter that we’re seeing a mixed bag – the fact that there are so many disparate elements to this is making me think that maybe we’ll get adversary upgrades for things like Necrons or Tyranids in the future, as well! But as with Kill Team Rogue Trader before it, we’re seeing GW use these boxed games to introduce a whole host of interesting miniatures that they wouldn’t perhaps otherwise make for the tabletop game. 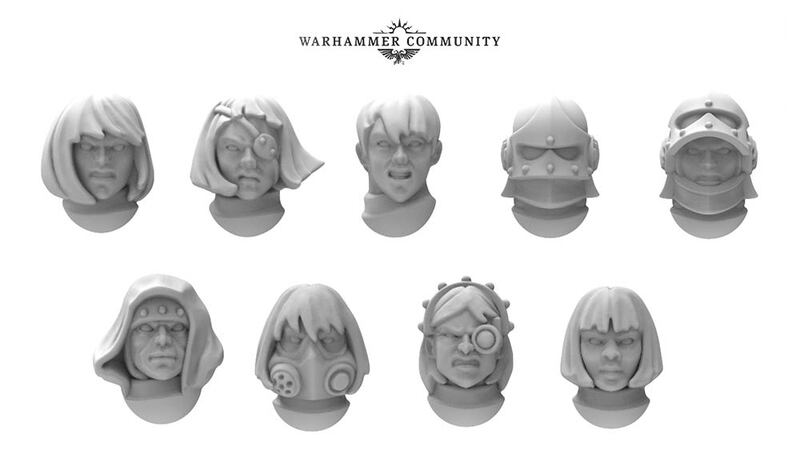 For sure, new plastic Chaos Marines are getting a lot of people excited, and the Traitor Guard are certainly exciting me in ways I hadn’t thought possible, but we’re seeing a whole rogue’s gallery of miscreants here that I would love to see expanded upon at some point into their own Codex. Much like Imperial Agents brought a whole host of different subsections of the Imperium under one umbrella, it’s not entirely outside the realms of possibility that we’ll see something similar for Agents of the Dark Gods, a sort of Chaos Undivided book that could bring forth elements of the Dark Mechanicus, Traitor Guard, Rogue Psykers and the like. Of course, these sorts of games don’t always have to be the herald for a new army, and we can quite happily see miniatures for the game that have nothing to do with regular 40k. It would be nice, of course, and they do include a mini-dex in the box that has the datasheets for all of the models, but I don’t think it’s a requirement. It’s just nice to see so many different corners of the 40k universe finally realised in plastic miniature form. What has gotten me most excited for this game, I think, is the expansion promises for the future. My first thought when I read this paragraph was that it feels an awful lot like Shadows of Brimstone, with a dungeon-crawl co-operative adventure game, the expansions promising new heroes and adversaries as well as new adventures. 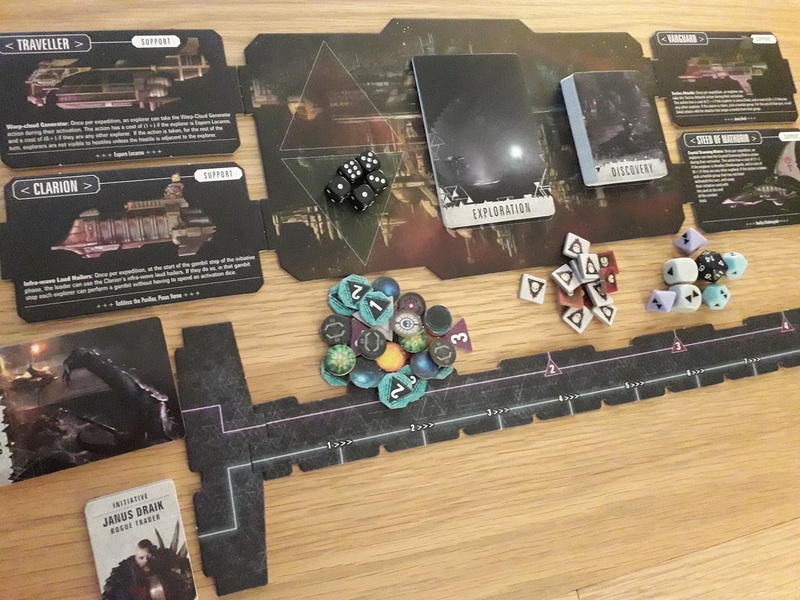 It’ll be interesting to see how they implement this, of course, and whether we can expect to see the same sort of slew of releases as for Kill Team, or else just one box every so often that includes a new play experience – much like board games of old having the big-box expansion treatment. Regardless of what I’d said earlier, I think it might be too much of a miss if we simply had re-boxed enemies to fight like Necrons or Tyranids, as I would much prefer them to keep this with a one-way relationship into regular 40k, and allowing us to use these models with the main game. 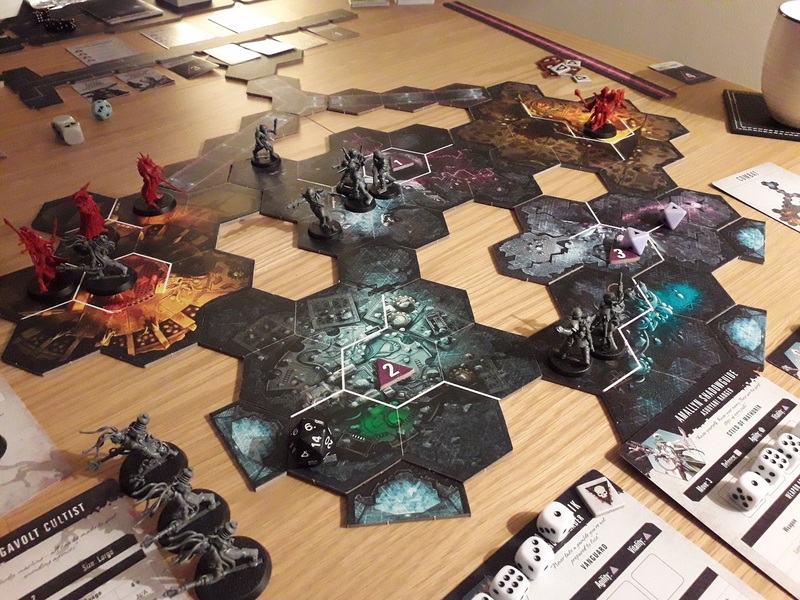 In an ideal world, I feel like we should have maybe two big-box style expansions a year, which feature new tiles and cards and adventures to play, then a couple of new adversary groups, maybe half a dozen new heroes, and all the necessary gubbins to use them in games. If we have to go for smaller scale expansions as well, then I reckon we should just stick to new adversary groups for the game, and be done with. Although I would love to see themed warbands of heroes such as the Rogue Trader crew, or maybe some kind of updated Astra Militarum group of randoms. 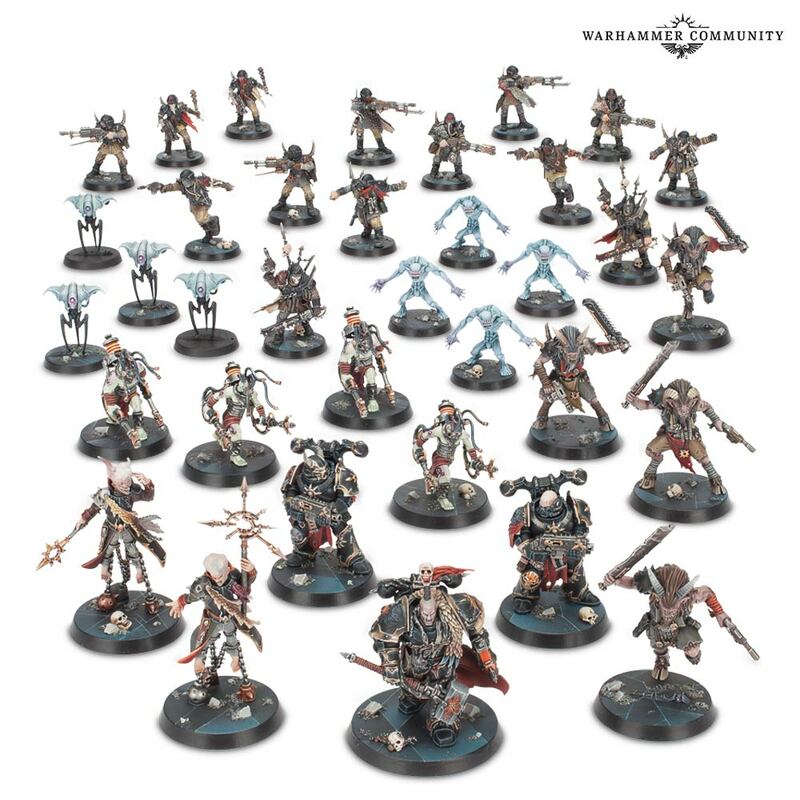 An Inquisitorial warband would seem like a natural choice, too, though that may be the next big thing for Kill Team, so we’ll have to see. There are definitely options out there! However, this could be a good way to look at replacing some of the awful finecast still out there with good quality plastic miniatures, for instance a new box of Necron Flayed Ones might be entirely likely to show up within a Blackstone Fortress, so why not release them for this game as part of the line-up, and then replace them in the main range over time? 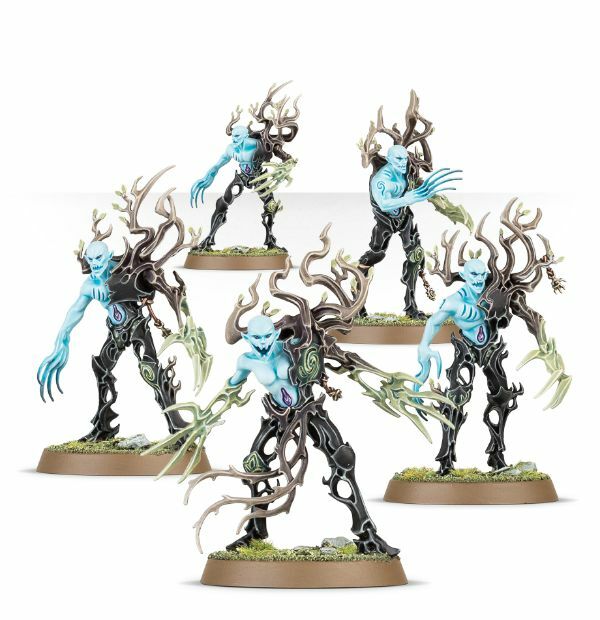 I’m not super-familiar with other armies’ finecast woes, but I’m sure this could work for Flayed Ones, and potentially Dark Eldar Mandrakes also. I am just so excited to see all of these new enemy models, it’s finally making me think of starting a Chaos army in some depth. Not Death Guard, or even Thousand Sons, but just getting some regular Traitor Guard, maybe a couple of Marines, and then just adding in these randoms like the Beastmen, the Dark Mech stuff, and some Cultists. The important thing is that it is an interesting force, so hopefully we’ll see expansions to this range that will, in time, allow it to be fielded as a fairly decent army! But of course, this is not to do a disservice to the actual game. 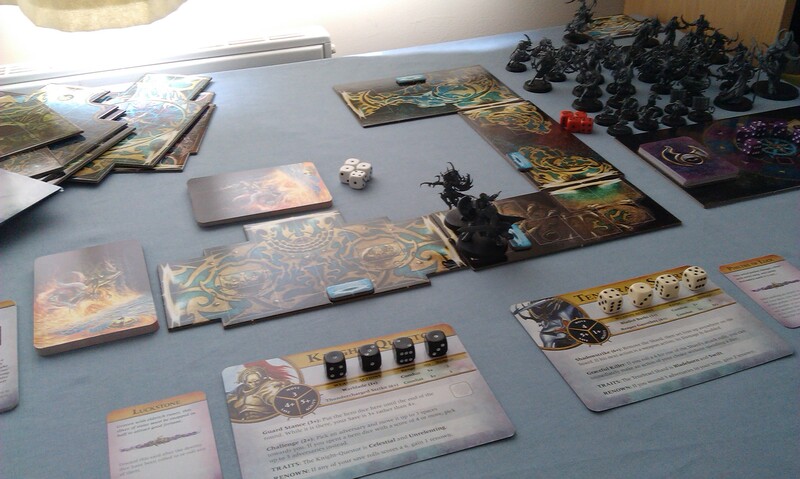 I’m definitely guilty of cannibalising these board games from GW and never bothering with the actual game inside. I think this is definitely one that I want to try and play for its own sake, and not get too involved with the clutter of the main tabletop game. It feels like it will be such a good experience, I just really hope that it’s the success it deserves to be! 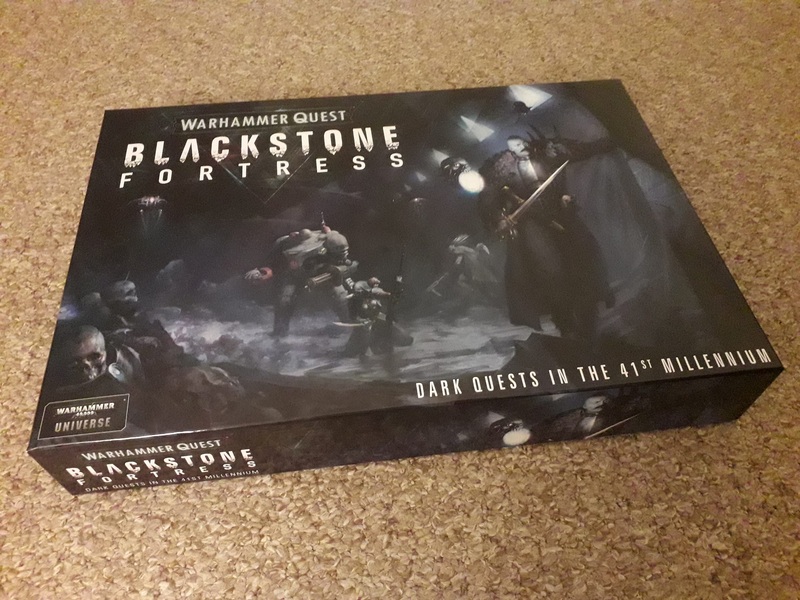 Author spalanzPosted on November 9, 2018 Categories board games, WarhammerTags Blackstone Fortress, Games Workshop, Warhammer 40k, Warhammer Quest5 Comments on Blackstone Fortress previews! 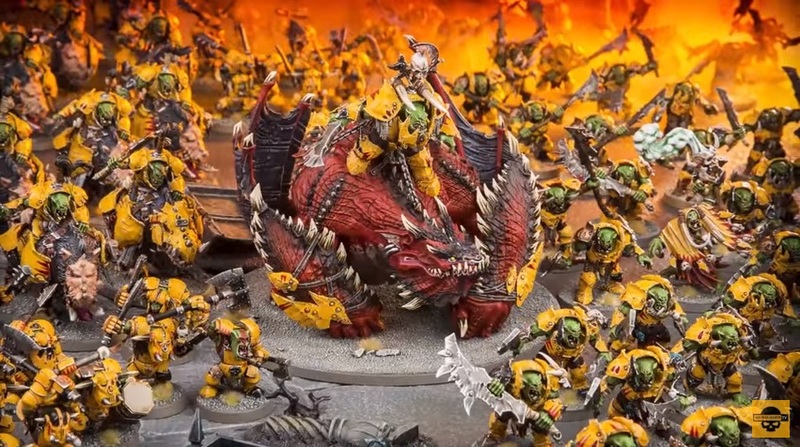 Games Workshop previews and reveals! 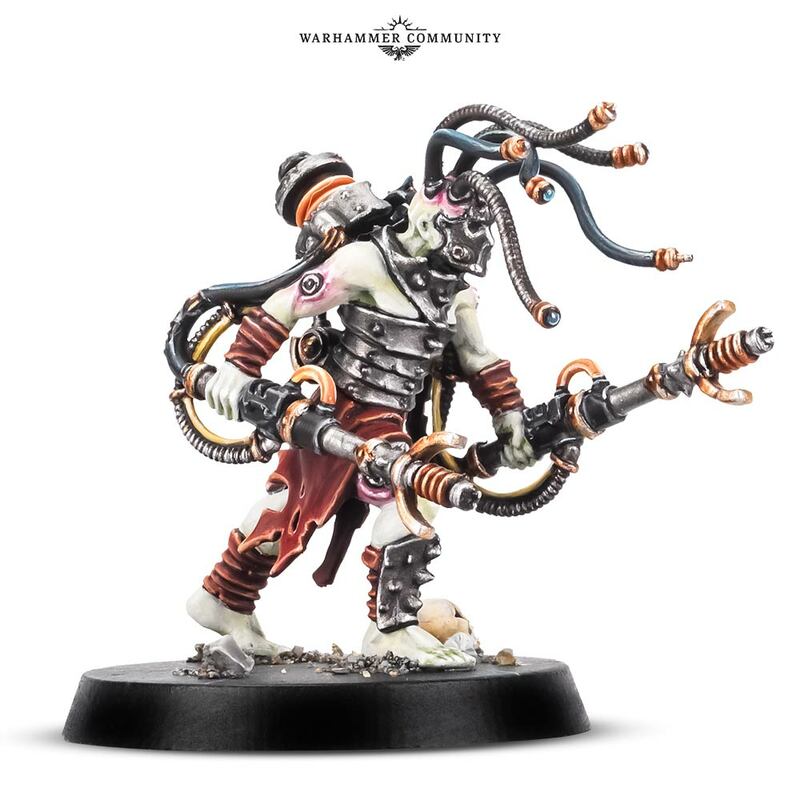 Oh my good god, I’ve finally been able to take a look at the new previews from GW that came out yesterday, and I feel like I just can’t even begin to explain my sensory overload, you guys!! 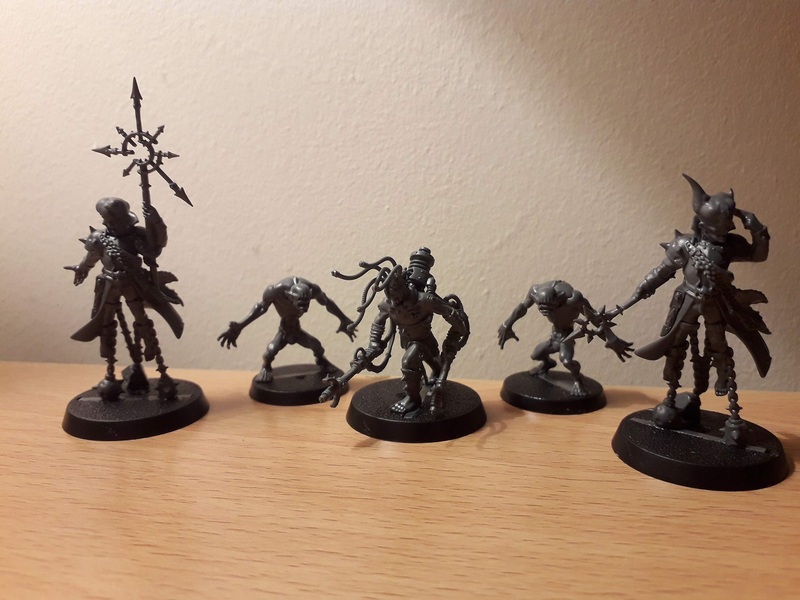 House Delaque for Necromunda – I’ve been waiting for these pretty much since I bought the base game a year ago. The trenchcoat-wearing spies have always sounded just so damn cool, I think I’d been latching onto the others (and then, finally, settling on Van Saar) while I was waiting to see what would happen to these chaps. The long wait has not been a disappointment, and I am absolutely thrilled by these miniatures! They look so damn weird and just so very, very 40k that I am utterly enraptured with them! 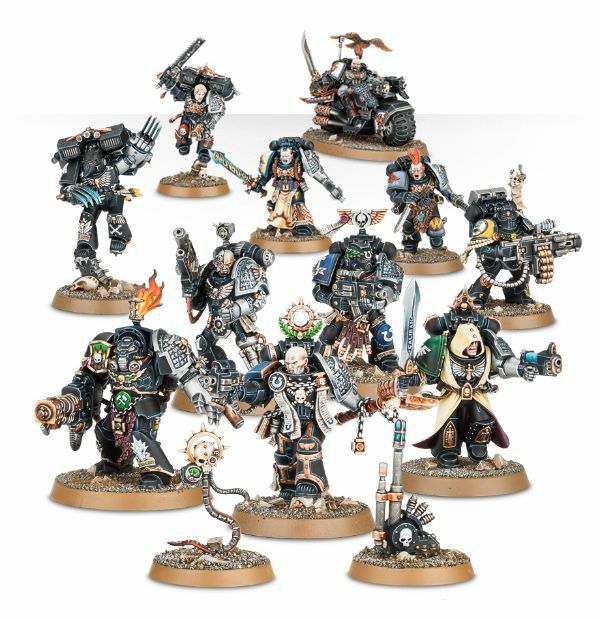 More so, perhaps, than any of the other gangs, these guys have got such a bizarre, grim-dark look to them that I’m in too much of a froth to make much coherent sense right now! 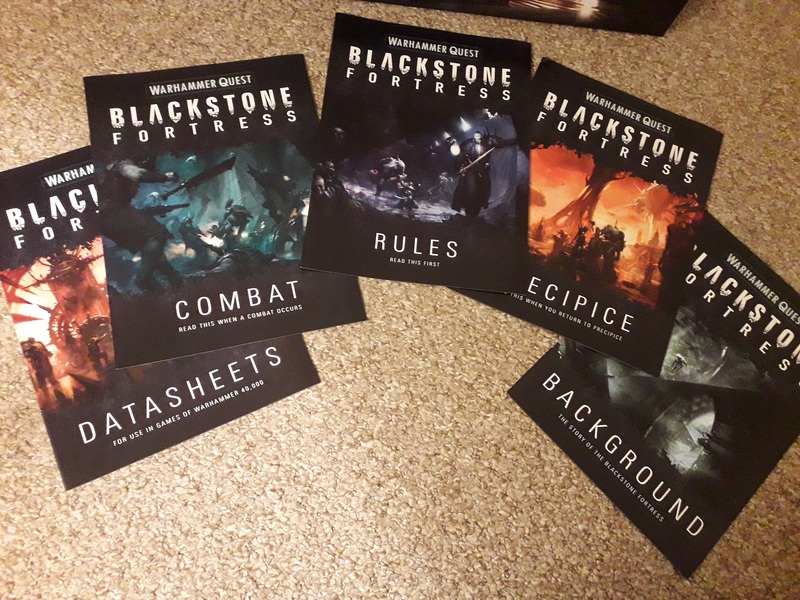 I’ve still yet to play this game, sadly, though have tried a couple of times but plans keep not working out, but I think I will finally be making the move into the Underhive in time for these to be my new gang! Cannot wait! The heroes are definitely intriguing to me – the space pope being hilarious, of course! But I do feel a little bit like they may have missed a trick and given us yet more Rogue Trader models. Maybe they’re going to be bringing out a more fully-realised Rogue Trader line soon, so we’re getting a lot of odd miniatures that could be thrown into that army once it lands… Who knows! 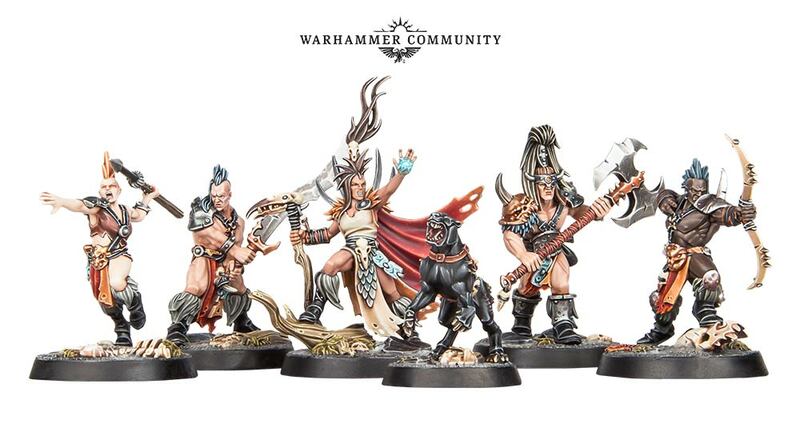 Looks like the battle boxes they’ve recently been putting out for 40k are coming to Age of Sigmar as well, with the Wrath and Rapture being a mix of new Khorne and new Slaanesh along with some of the models from the existing line. 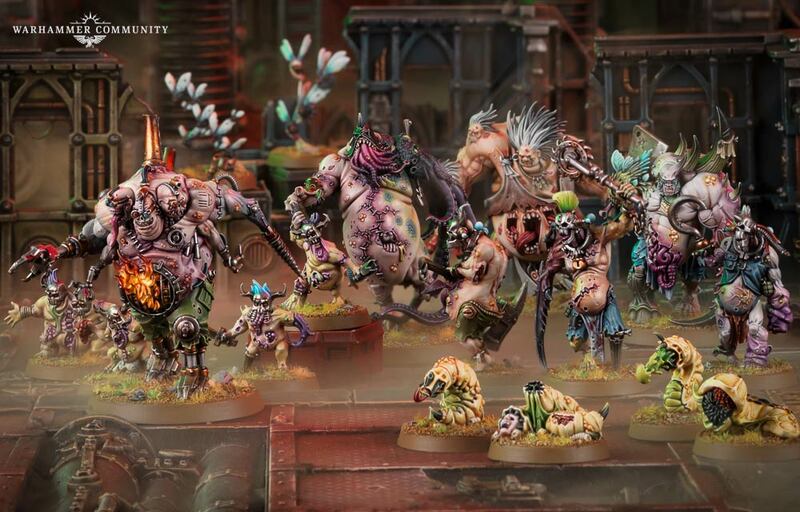 I’m not going to be buying this, as I’ve already bought and sold a Slaanesh daemons army twice now, but it does look really neat, and I’m really happy to see that Slaanesh hasn’t disappeared. There’s a new ShadeVault warband on the horizon, the Darkoath barbarian models are getting expanded beyond the two models they currently have! Is this going to be the start of a Slaves to Darkness reboot? Who knows! I’m not sure why I always think things like this will be heralding new full-on armies for either system, but there we are! 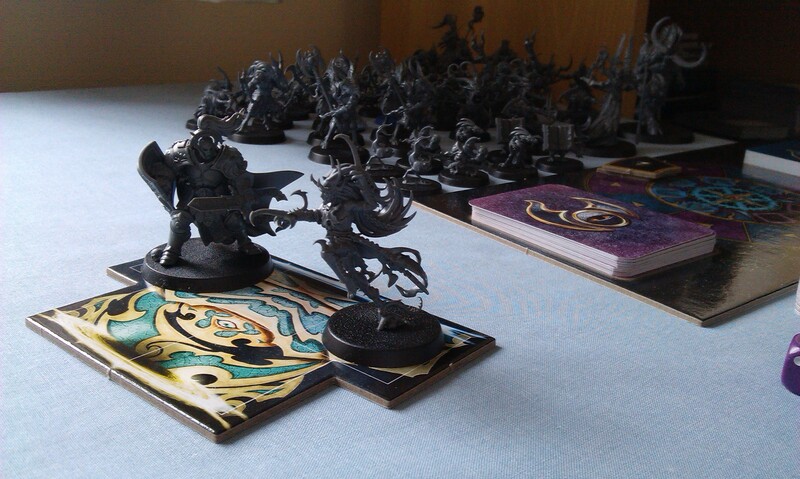 The minis look great, though I’m still holding out hope for a Deepkin warband, or else a Lizardmen band. That would be really cool. I’ve tried before to start with Lizardmen, as I feel like they were the faction that kinda got me interested in Warhammer in the beginning, but we’ll have to see on that. Chapter Approved 2018 is coming, of course, with the Sisters of Battle beta codex, as well as rules for looting vehicles for the Orks. I’m interested in the Sisters, for sure, but I can take or leave the Ork stuff. What is interesting, to me, is the Farsight Enclaves rules for fielding The Eight – as we all know, T’au Empire armies can only field one Commander per detachment, and the Rule of Three has now further hampered the previous Commander Spam lists, so how would players be able to field an iconic, fluffy list of Eight Commanders? Well, it looks like we’re going to find out – and they’re coming for Matched Play, too, it seems! Something that I had been thinking a lot about over the summer was just how much content could they put into Chapter Approved this year, given that last year’s book was mainly given over to all of the armies who hadn’t yet received a Codex. Assuming that Genestealer Cults will be getting one before the end of the year (crosses fingers), I was hoping there would be more for us all to enjoy rather than giving over the book mainly to the Sisters stuff. I guess we’ll see, though! 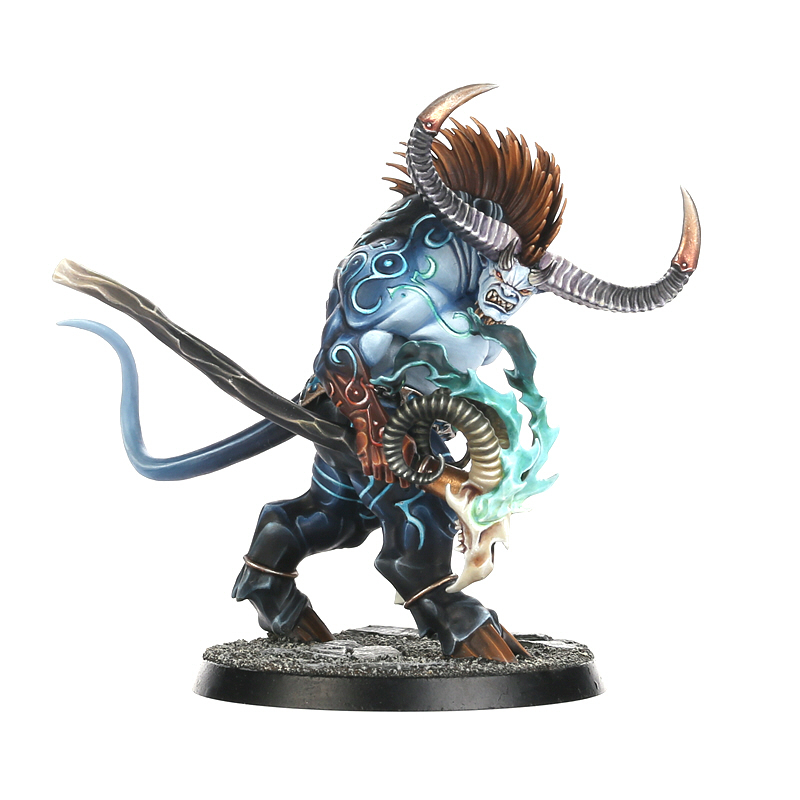 There’s also another new Battletome coming for the Destruction Grand Alliance, seems to be Moonclan? I have no idea, though I’m sure it will be cool enough. Something is going on with Vigilus again, though we know not what. 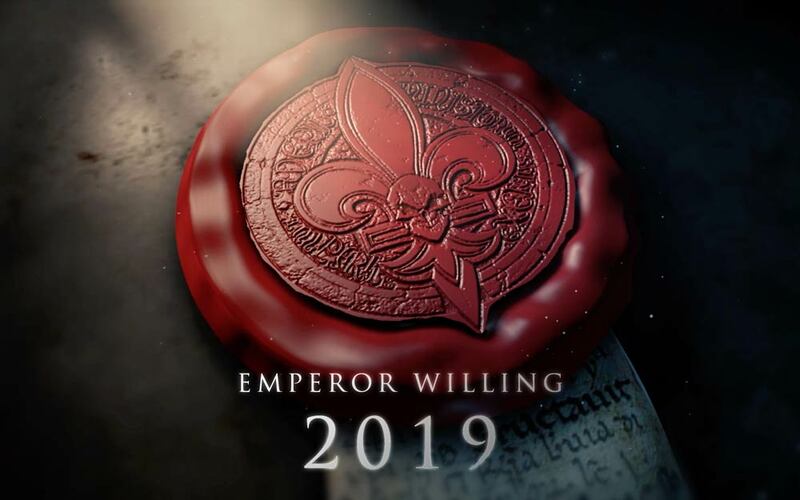 Hopefully it’s linked to the Genestealer Cults Codex, though I’m guessing we won’t hear more about that until the Vigilus event at the end of the month. 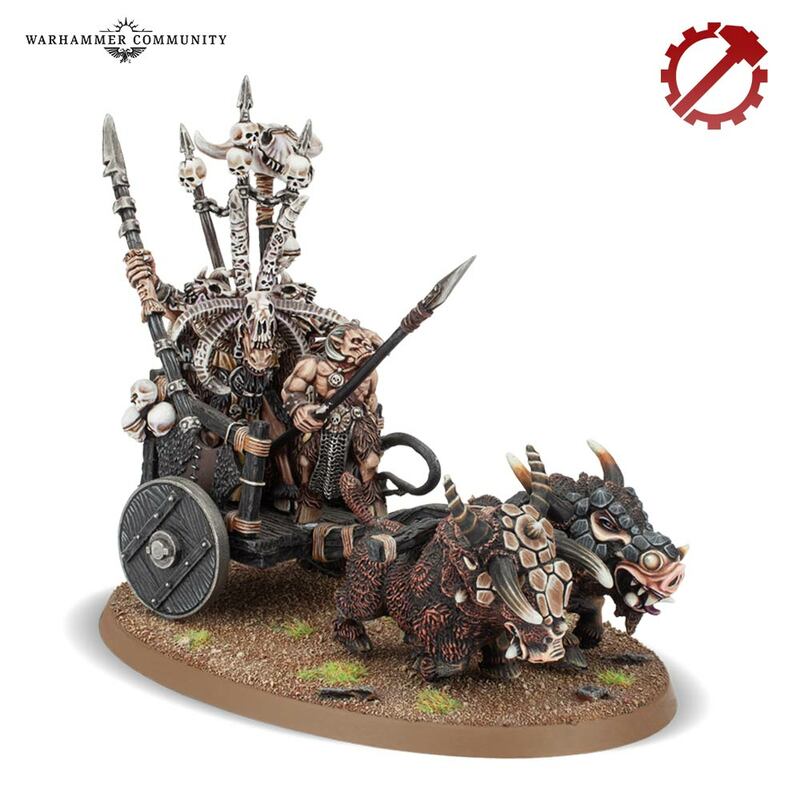 There will be some Beasts of Chaos made to order miniatures coming out, and I feel like I may need to invest in some of these, as the chariot they have previewed looks incredible! Since I took off with the Nighthaunt last month, I feel a little like I’ve lost track of the army that has gotten me back into Age of Sigmar, and I should probably try to give them a little love soon! Overall, there is just too much good stuff coming out soon, I’m not sure I can cope with it all!! Might be time to start using ebay more aggressively to see how much I can get rid of, to make room for so much more good stuff coming our way over the next few weeks and months!! 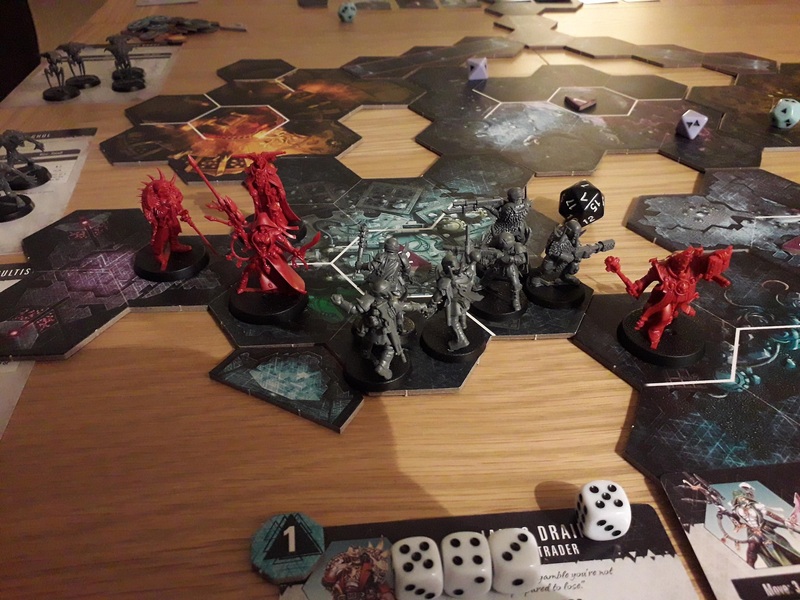 Author spalanzPosted on November 3, 2018 November 4, 2018 Categories board games, WarhammerTags Age of Sigmar, Beasts of Chaos, Blackstone Fortress, Darkoath, Games Workhop, House Delaque, Necromunda, Warhammer 40k, Warhammer QuestLeave a comment on Games Workshop previews and reveals!